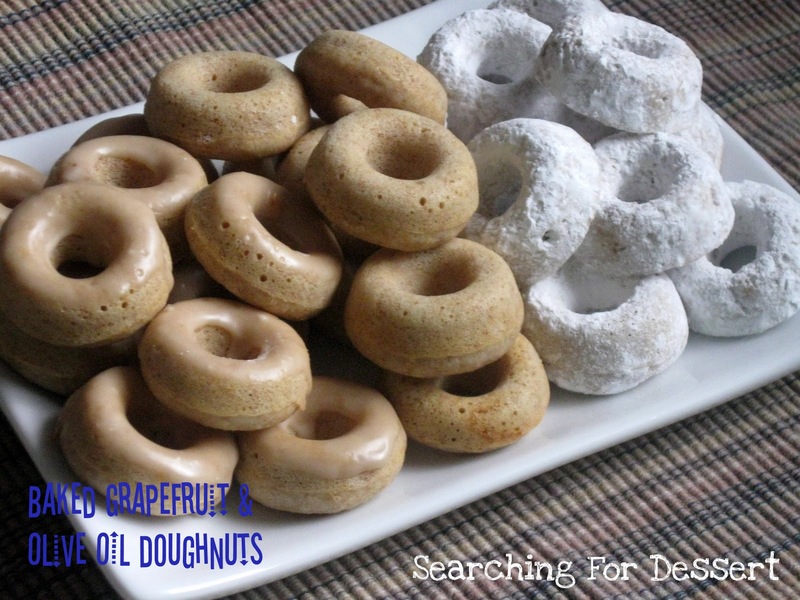 I had high hopes for this recipe and I'm all over making doughnuts since I received a mini doughnut pan for Christmas. I actually bookmarked this recipe maybe the day after it was posted and it occurred to me today what a delicious treat it would be. So naturally, I got in the kitchen and made some tiny doughnuts. 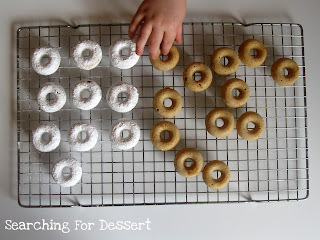 I love these because they're bite-size, well all the doughnuts from this pan are :). The best part is that in less than 20 minutes I had fresh and warm doughnuts that were sort of low fat. I calculated them at 1 WW p+ each (don't go running anywhere with that or quoting me though, I use a nutritional program to get the stats then put them in a WW calculator to get the value). Either way the value should be about that and they're tiny so you can still eat like 8 unless you have willpower. I umm...don't so much but that's mostly because they're delicious...so delicious. I typically work out the point values out of curiosity so if that's an interest of anyone let me know and I'll post that also if it would help. I honestly thought they would be a lot higher but there isn't butter and it's half whole wheat flour, so it makes sense I suppose. Anyway, I would have to say these are the best (in my opinion, and my husbands) tossed in the powdered sugar. I made a vanilla glaze but it took away from the flavor of the grapefruit in the doughnut. There are also some plain ones in the picture (those will be powdered-sugared in the near future). I think if I hadn't gotten all excited and eaten the grapefruit I would have put some of the juice in the glaze instead of vanilla and it would have complemented it even more. The glaze isn't in the printable recipe if you were interested so it's below. Like I said, you could substitute the fresh grapefruit juice for the vanilla extract and the water and it might be amazing. I'll try it sometime. 1. Preheat oven to 350. Spray a donut baking pan with cooking spray and set aside. 2. In a medium mixing bowl or batter bowl, add the flours, sugars, baking powder, salt and grapefruit zest. Mix until fluffy with a whisk. Add the egg, milk and olive oil and mix until just combined. 3. 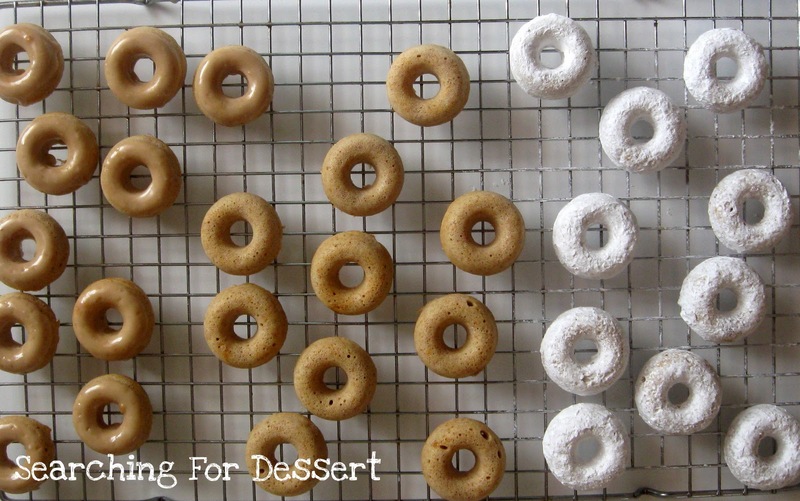 Put the batter in a zip top bag (then cut the corner off) or a pastry bag and pipe the batter into the doughnut pan. 4. Bake for 8-12 minutes (depending on the size of the pan), or until the tops are no longer tacky. Remove from pan to a cooling rack. 5. Use a large zip top bag and add the confectioners sugar. 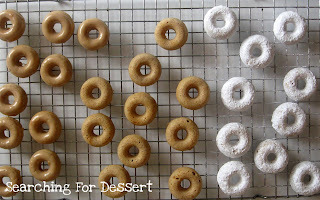 Add a few donuts and close the top, shake gently to coat with sugar. Serve warm or at room temperature.